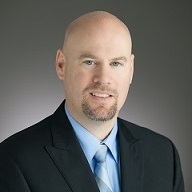 Mike has over ten years of experience in personal financial planning. In addition to preparing and presenting personal financial plans, Mike continuously surveys academic research in the areas of interest to clients - such as investment portfolio allocation and implementation strategies, approaches to retirement benefit distribution, insurance needs and products. Mike's focus on scholastic studies reflects his background. Prior to becoming a financial services professional, Mike was a Ph.D. candidate in Government and Politics and a graduate teaching assistant at the University of Maryland College Park. This experience sharpened the analytical and communication skills that are essential to the delivery of outstanding service to our clients. Mike received a Master's degree in Government and Politics from University of Maryland College Park and a Bachelor's degree in Political Science from Richard Stockton College. He is a CFP® certificant and a member of the Financial Planning Association.